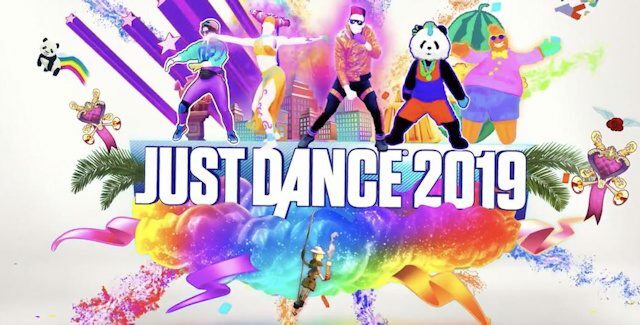 The full Just Dance 2019 song list has been revealed by Ubisoft. With more than 40 new tracks, ranging from Billboard hits to classic throwback favourites, from popular artists, everyone in the entire family will have a favourite track to dance to in Just Dance 2019. 12-40. “?? ?” More songs to be revealed soon! Introduction: Below you’ll find the full set of 40+ songs that will be playable in the main game (AKA on-disc or without DLC). The dancing game will be released worldwide on October 23-25th, 2018 for Nintendo Switch, Wii, Wii U, Xbox 360, Xbox One & PS4*. The music featured in Just Dance 2019 spans all genres of popular 1990s to 2018 music that’s fun to dance to with family and friends. This time there once again are 8 songs especially added for little kids to dance to easily in the Kids Mode. *There’s no need for Kinect or PS Move for those playing on PS4 and Xbox One – with the Just Dance Controller app, any smartphone can be used to play Just Dance. So take a break from flexin’ on the gram and treat that phone like a rollie on your wrist as you and up to five other players simultaneously form a connection so magnetic on the floor in Just Dance 2019. Future Songs: In addition to a killer on-disc soundtrack, the Just Dance Unlimited subscription streaming service adds 400+ songs to the Just Dance franchise, and will be available together with Just Dance 2019 on PlayStation 4, Xbox One, Wii U & Switch. Just Dance Unlimited will give players access to over 400 tracks from previous Just Dance titles. With additional new tracks being added consistently. What songs would you like to see added to Just Dance 2019?